Aalaap sung by Najim Arshad pierces you in Aayatein, but it doesn't last for even a minute. But soon, Najim comes back in next track - Sawaalon Ki God mein. Backed by sarangi it grows further with tablas. Though some lines seems 'forced to keep in tune', vocals of Najim does impress. 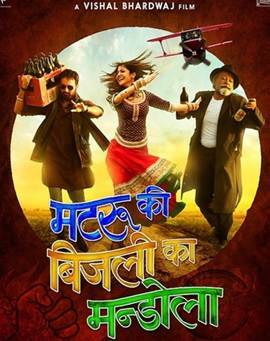 Its the next one, Jhalkiyaan - in which Ram Ramesh Sharma's lyrics shines. Javed Ali's vocals are as always, beautiful, accompanying him Kshitij Tarey is equally brilliant. (Though last para seems very situational) This is my most favorite one from album. It repeats as a Reprise version, sung by Harshdeep Kaur, a fantastic rendition with interesting mix of previous one into this version. Usha Uthup and Jazz. Sounds interesting no? Yeh Raat Monalisa is her show all the way. She just enjoys her song and it can be clearly seen (heard?) here. Upbeat tone of Bajao Zor Se Taali works perfectly because it has Sukhwinder Singh behind the mic. Though the lyrics are tricky (translation anyone? ), this is instantly likable. 2nd version is not too different except minimal arrangements. Composer Advait Nemlekar brings a refreshing change from current Bollywood albums. Penned by Ram Ramesh Sharma, Kaafiron Ki Namaaz works wonderfully with its minimum arrangements and impressive vocals. 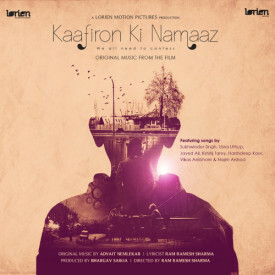 Tags : Kaafiron ki namaaz, kafiro ki namaaz music review, songs, kaafiron ki namaaz songs download, mp3 download, jhalkiyaan harshdeep kaur, najim arshad, songs, najim arshad star super singer. Shambhu Sutaay packs in itself the thump, percussions that is a must for a 'Ganesha' song. What surprises you is how it concludes with a Duha. Shankar Mahadevan's voice gives you all those goosebumps. With grandeur arrangements in prelude, Bezubaan catches ears instantly. Add Mohit Chauhan backed by Priya Panchal, Deane Sequeira & Tanvi Shah - this is one heady track that should be must-see on screen (oh, and in 3D !). Starting off with Nadaswaram sound - Psycho Re assures a rollicking ride with Mika and Udit Narayan behind the mic. Such an addictive stuff ! (Sigh.. we miss you Udit ji). For a moment Anushka confuses you with Shilpa Rao, impresses in Man Basiyo Saanwariyo - a rock heavy track designed for those 'lock-pop' and more stage acts. After talking about his auntie, another song is here about Chandu. And this time, its Chandu Ki Girlfriend 's turn. With absolute fun lyrics by Mayur Puri. Similarly fun song is Sorry Sorry sung by Jigar himself, has that 'stuck-in-head' quality. While with dark shades and rock base - Duhaai travels altogether a new way, an engaging one. Aptly, last two tracks didn't impress as much as the whole album. (maybe its just me who doesn't like much shor-sharaba?) Suraj Jagan's electric guitar heavy Kar Ja Re Ya Mar Ja Re seems a 'climax theme' material. And Hard Kaur's Sadaa Dil Vi Tu - is pretty heavy on decibels, but an interesting effort of making a dub-step induced Ganesha track. Sachin-Jigar's soundtrack works as effortlessly as Prabhu's dance. An impressive body of work for this out and out 'dance movie'. 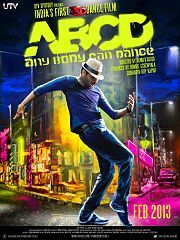 ABCD packs a punch that is able to make anybody, dance. Akshay Kumar - Oh My God! Swanand Kirkire - Aashiyan - Barfi! Mohit Chauhan - Ala barfi - Barfi! Nikhil Paul George - Main kya karoon - Barfi! Popular Choice Award (Female): Katrina Kaif for Ek tha Tiger and Jab Tak Hai Jaan! Popular Choice Award (Male): Salman Khan for Dabangg 2 and Ek tha Tiger ! Best Marketing for a film : Team of Barfi! There are films where you are not spoon-fed by the maker. You can not expect the expected. And you see what you don't see in a regular potboiler. Vishal Bhardwaj is surely that one guy who makes you feel these things. No doubt why his are one of the most awaited projects always. MKBKM was that highly expected project since its inception. And that's the prime disadvantage of this marketing strategy. Your expectations go too high that everyone is expecting a fantastic movie. (anyways... leave that). MKBKM is a mad mad story of mad mad characters living in village Mandola. And how 'mad'er is can get then a Pink - smiling - Buffalo !! With unreal people in realistic background, Vishal and Abhishek (Chaubey) gets viewer hooked to the film since very first sequence. But unfortunately it doesn't last too long. Sreekar Prasad's editing misses its mark at many places that goes over-indulgent and induces a few yawns here and there - in first half !! Thankfully, the twist right before intermission (though expected) and the table-turn events in second half, keeps the pieces of story together despite of the occasional lags. Biggest help here, comes in form of Pankaj Kapur. He is the strongest pillar of this '3-persons-playing-title-role' story. And not to forget VB's own sparks that are hard to miss out. Beneath all this madness, the treatment of the movie makes you silently gulp down bitter truth. Besides lagging editing, technically the film is excellent. From background score to DOP, you can not ever complain in a VB movie. And ah, the songs - most of them which didn't work that much out of the movie, 'in the movie' they are inseparable. Perfect? no? The film drives on its performances. Or say - Pankaj Kapur. As 'double personality' guy - Mandola, he yet again excels his part that no one can. There hardly is a moment where he misses the right note. Imran Khan is (surprisingly) good as the educated-yet-happy-to-be-desi guy. Won't say much about his character, but he definitely surprised in a 'dehati's role (being his past record as chocolate lover boy). Anushka - well, baby, its time you invent a new style that doesn't look like your last movie. She's fiery as always but aren't we tired of her outspoken-full of life-lot of sparks-act? Shabana - ah, fabulous she was, just wish we could have get to see more of her. Even, the kid who just plays a blind village boy - is difficult to forget. But let me warn you. MKBKM is full of those VB moments which are not easy to gulp down if you are not a fan of his work. Watch it for that awesome combo of director and his actor - VB meets PK. Here are the nominations for 19th Colors Screen Awards. Lets see how this award season gets started.